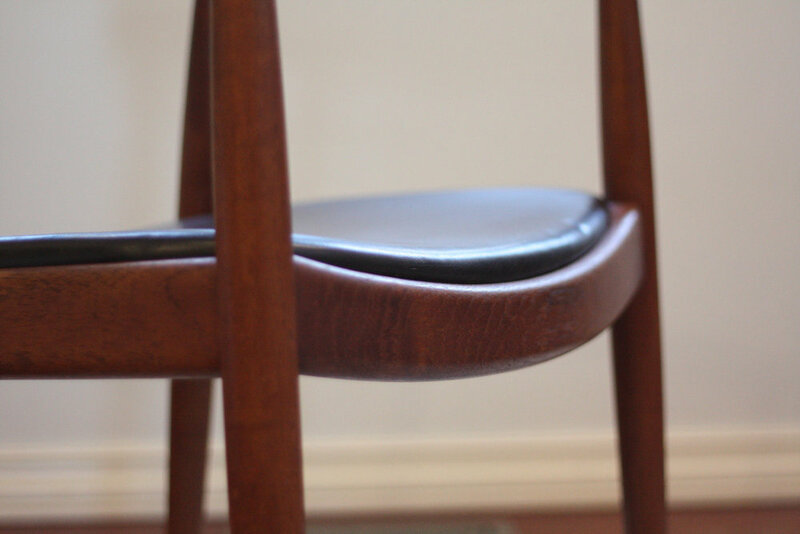 Available here is a stunning example of Hans Wegner's famous "Round Chair". It is arguably the most iconic Wegner chair design. The Round Chair gained notoriety in the U.S. by its appearance in the Nixon-Kennedy debate of 1960, the first televised presidential debate. Properly stamped Johannes Hansen Made in Denmark, authenticating this is the real deal. Excellent vintage condition. Fully marked with the Johannes Hansen label. In our opinion this chair SHOULD NOT be refinished as the original finish is much more desired. Leather has minor markings and impressions. No rips or tears. Hairline crack to front stretcher 1.5" long.